This wordless picture book is a poignant look at bullying and a simple act of kindness that inspires a community to band together and help their new fellow classmate. Injustice and emotions of fear, sadness and helplessness are deftly portrayed in the strong and very thoughtful visual narrative of the book, and later, the strength and effectiveness in standing together. One girl’s brave initiative causes a wave of change and brings about a very positive and powerful ending. We are not alone — let’s reach out to one another, take care of each other and teach our children to do the same. Concluding I Walk with Vanessa is an excellent author’s note to initiate discussion and help children reflect and think about how to help someone who is being bullied. 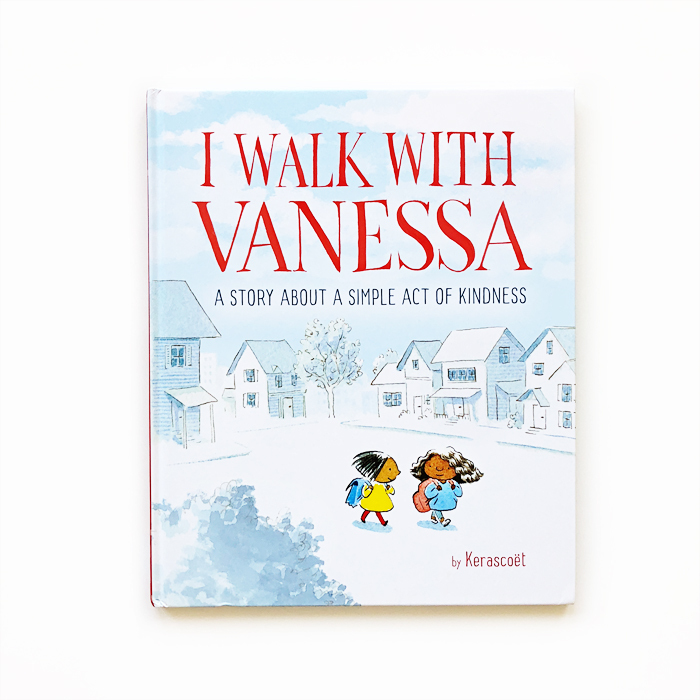 I Walk with Vanessa: A Story About a Simple Act of Kindness was written and illustrated by Kerascoët and published by Schwartz & Wade. It’ll be out soon on April 24.